David Martin’s restaurant is an unlikely candidate for our Top 100 list. Just a simple brasserie in Brussels’ working-class neighborhood of Anderlecht, it is open for only six meals a week: lunch on weekdays and dinner on Friday night. 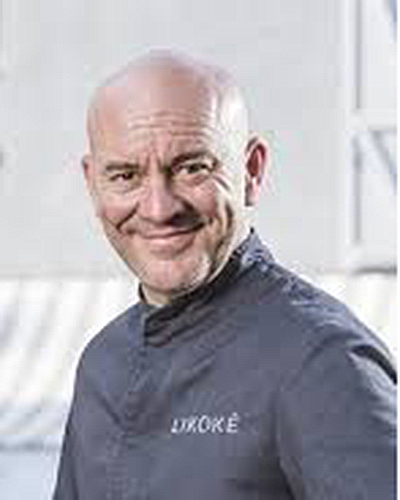 Having learned his trade while working at restaurants like L’Arpège and Bruneau, Martin raises the brasserie experience to a new level by offering starters like a carpaccio of langoustines from Brittany served with lacquered bacon and laurel oil or a Basque-style pig’s foot served with a mille-feuille made from the pig’s ear and served with a ham mousse. But where Martin really shines is when he reaches into his meat locker, which is absolutely overflowing with beautifully marbled, dry-aged cuts of locally sourced Belgian beef, Simmental beef from Bavaria and the Gallician Rubia Gallega, a breed one rarely sees outside Spain. Some restaurants are flashy and get a lot of press. 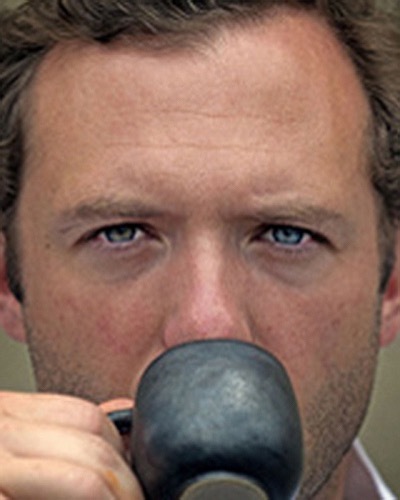 Others quietly do their thing, satisfying their customers year after year. 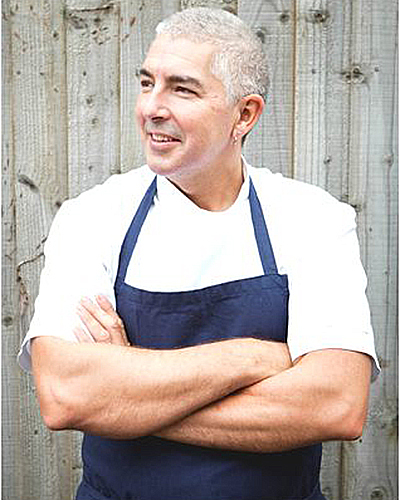 Daniel Clifford's restaurant is a prototype of the latter, and countless professors, students and their parents have enjoyed dishes like beetroot baked on open coals with quinoa, goat cheese and mizuna while dining alongside the River Cam. 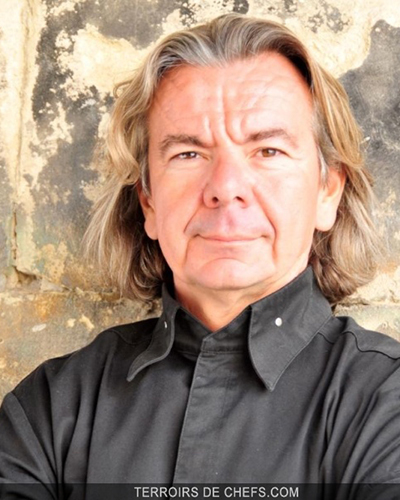 After making his name during a 14-year stint at the Château Cordeillan-Bages in the Pauilliac region of Bordeaux, Thierry Marx decided to pack up his Sabatier knives and head for the bright lights of Paris. He landed at the brand-new Mandarin Oriental Hotel, just a stone’s throw from the Place Vendôme. Things were slow to start, but over time Marx seems to have built a following of diners who enjoy his contemporary French cuisine, which features dishes like monkfish liver with cherries, turbot with asparagus and pistachio mayonnaise and sweetbreads with candied peaches and lemon verbena. Halfway between Verona and Venice sits this restaurant run by the Portinari brothers that is beloved by our Italian reviewers while hardly known to diners outside of Italy. 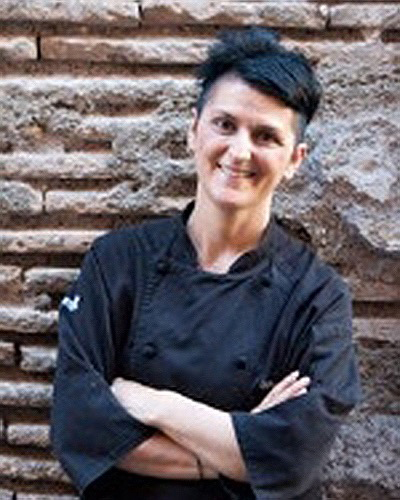 Reviewers described Nicola Portinari's cooking as “light, joyful and extroverted.” The chef tries to use vegetables in unusual pairings, like eel with smoked eggplant, cherries and rhubarb and a frothy soup of shrimp, avocado and lime. 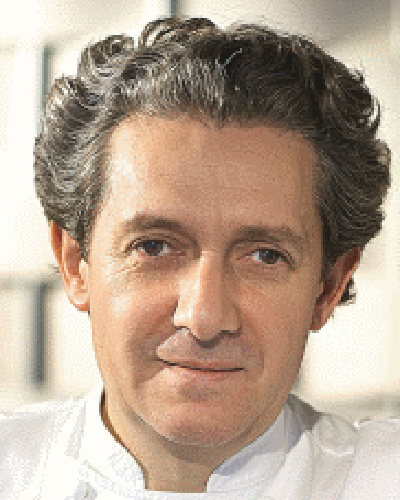 Brother Pierluigi Portinari runs the front of the house at this “large, elegant dining room,” while also looking after “one of the most phenomenal wine cellars” in all of Europe. Ever since this Asian-fusion restaurant opened its doors in September 2001, William Ledeuil has been packing them in. At a lively dining room on a charming street on the Left Bank you can enjoy dishes like milk-fed lamb with a ginger condiment and Thai jus. 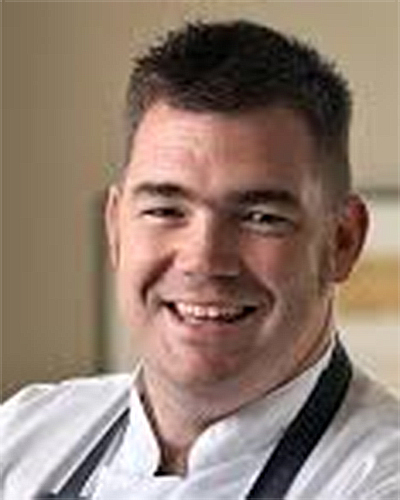 Nathan Outlaw looks like he could wrestle a bluefin tuna to shore with his bare hands. But when you visit this charming boutique hotel/restaurant and have that tuna served to you on a plate, you will find that Nathan is a chef who shows a gentle hand with fish. 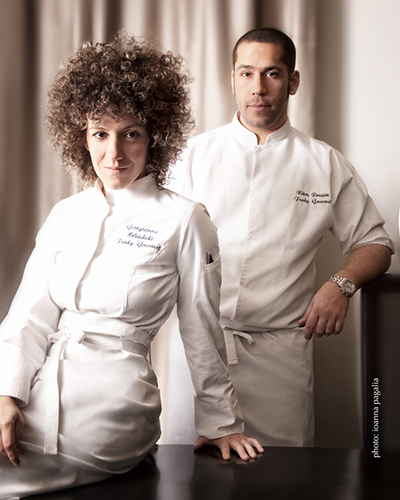 The husband and wife team of Matthieu Beudaert and Sofie Delbeke opened this charming restaurant in 2009. 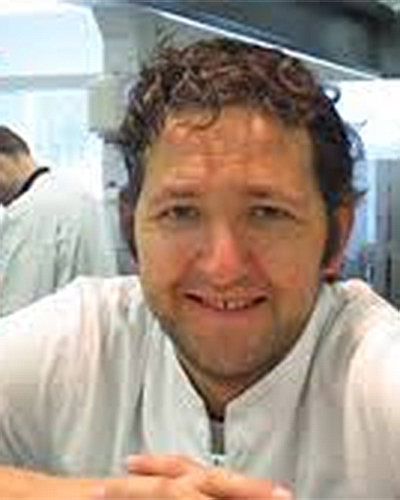 Dishes like a variety of cabbages served with fermented milk, flaxseed and beurre noisette, along with a Belgian veal chop cooked over charcoal and served with manzanilla sherry show why a local restaurant guide named Matthieu Young Flemish Chef of the Year in 2013. One of the most important openings of 2016. 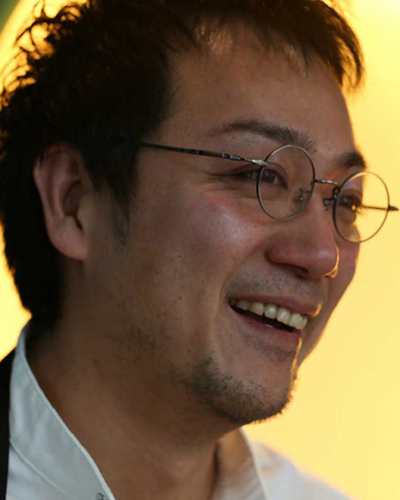 Yoji Tokuyoshi spent the past five years as the number two in Massimo Bottura’s kitchen at Osteria Francescana. 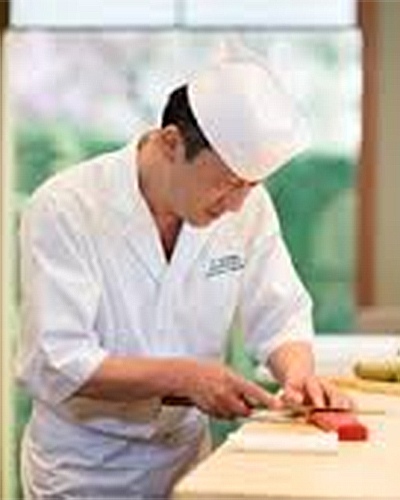 Though a native of Japan, Tokuyoshi does not incorporate Japanese ingredients into his cuisine. Rather he prepares a “cuisine of the land” that he feels is in keeping with Italian culinary tradition. That means creations like a langoustine lightly roasted and paired with liquid mozzarella, risotto cooked in olive oil instead of broth and topped with tomato film, and a perfectly roasted pigeon paired with a light horseradish sauce. This restaurant located in the city Van Gogh made famous is off the radar for many destination diners. Given the restaurant’s location in the heart of Provence, the region’s spectacular ingredients play an important role in Rabanel’s cooking, which often comes with an Asian twist, like a dish he calls La Tartine that features a small sandwich of polenta and tuna marinated in Thai spices served with crispy vegetables and a cup of wild herb soup and tomato ice cream or a brandade de morue served with pommes de terre confites bouillon and an emulsion of verveine and citronelle and ginger and coconut milk. The hotel De L’Europe sits at the tip of one of Amsterdam’s most beautiful locations. Which means that this lovely restaurant not only offers some of the best French cooking in the city, it also offers impressive views to go with it. Executive Chef Richard van Oostenbrugge’s menu does its best to feature a mix of local and French ingredients, like a dish of Dutch oyster served three ways (oyster ice cream and caviar, pork belly with pointed cabbage and tatare of oyster with Champagne beurre blanc) and an Anjou pigeon with a mustard miso sauce. Diners do not usually associate London with a top Japanese experience, but this “posh” dining room on one of London’s most fashionable shopping streets is a favorite among OAD reviewers. 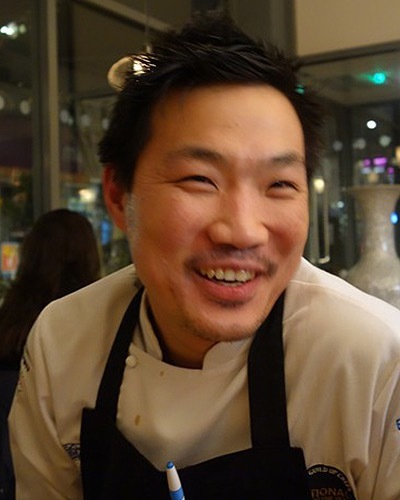 A proponent of the ikejime technique in preparing his fish, executive chef Yoshinori Ishii regularly makes trips to Cornwall in order to meet with local fisherman and teach them about the quality of fish he would like to serve. Besides the super-fresh sushi, there is a full menu of Japanese fusion cuisine featuring dishes like “Matsukasa” crispy-skin Cornish Dover sole with bonito flakes. 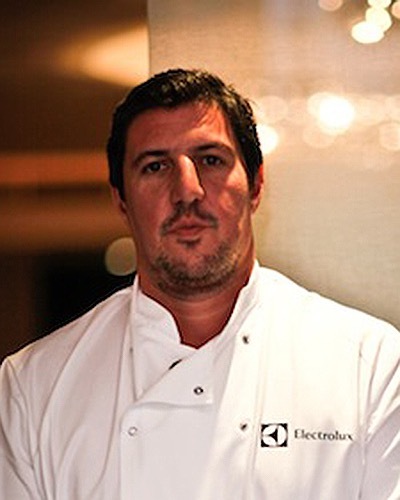 Claude Bosi’s Mayfair restaurant has managed to recapture the buzz it had before it moved to London from Ludlow. Game season is a popular time at the restaurant, as Bosi offers preparations of things like grouse and woodcock served in both modern and purist fashion. 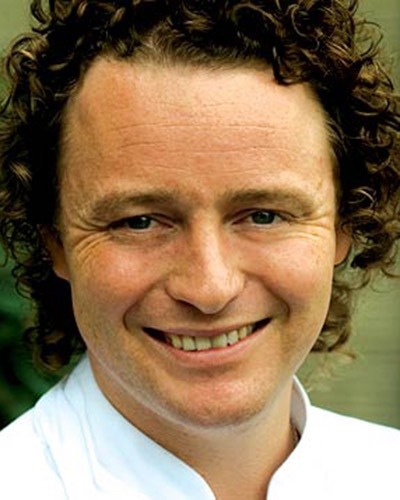 Our reviewers say that if Tom Kitchin's restaurant (what are the odds of a chef having the surname Kitchin?) would be much better known if it were located in London rather than Edinburgh. Those who have made the trek up to Scotland will enjoy dishes like a ragoût of Loch Creran oysters with poached salsify tagliatelle. 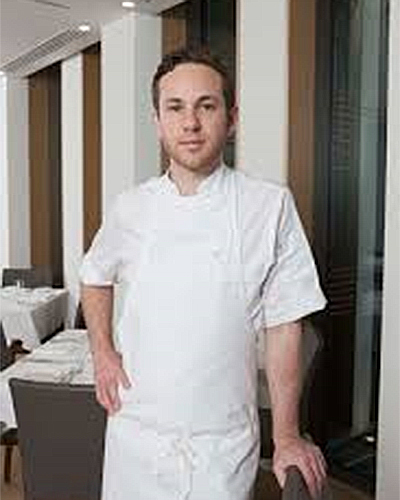 Since Noma opened its doors, a number of famous chefs have graduated from René Redzepi’s kitchen. 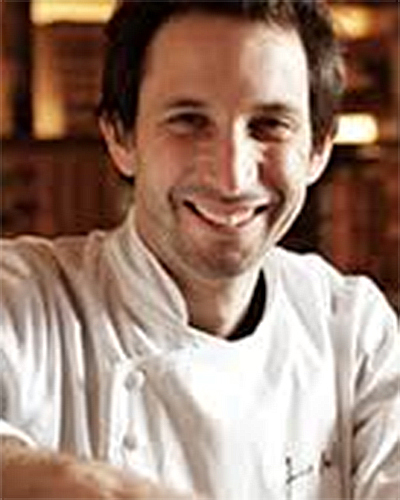 California-born Matt Orlando, one of the more famous graduates, did a two-and-a-half-year stint as the restaurant’s executive chef before opening Amass in 2013. Set in the Refshaleøen, a former industrial area of Copenhagen that has been invaded by hipsters, Orlando’s menu offers a more international take on Nordic cuisine, featuring dishes like chicken liver, Seville orange skin and black pepper, and carrots, fresh cheese, pickled fennel seeds and reduced whey. 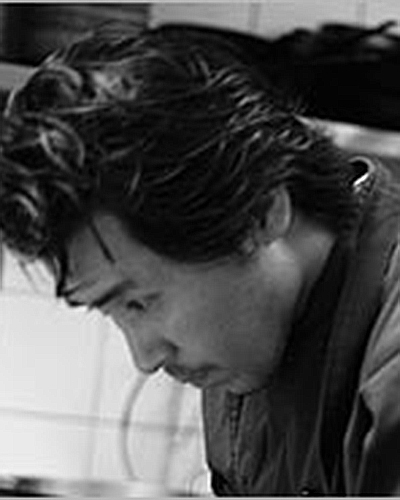 More than 15 years ago, well before the cuisine became trendy in European capitals, Yamazato brought the Japanese dining experience to Amsterdam’s Okura Hotel. Unlike restaurants in Japan that only offer one type of cuisine, Yamazato is more of a Western-style restaurant, where along with four different formal kaiseki menus, it also offers a full sushi menu, an a la carte menu featuring things like tempura and grilled lobster teriyaki and a special 12-course chef’s seasonal tasting menu. Reviewers raved about a “brilliant sashimi assortment” and “properly grilled” dishes featuring cod that has been marinated in sake lees along with a number of different preparations of wagyu beef. The Mraz that this restaurant is named for is Karl Mraz, the son of a coffee shop owner who decided he wanted to open his own bistro. 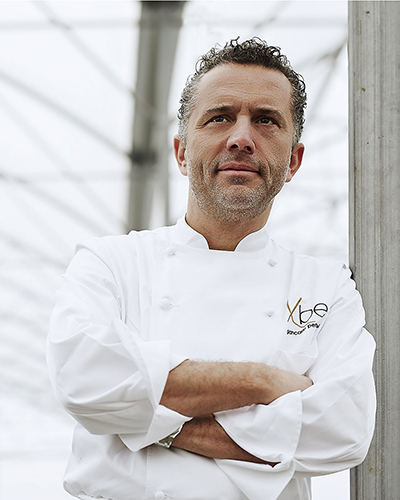 Later on, Karl’s son Markus took over the reins to the restaurant’s kitchen and, along with his sommelier wife, Peggy Strobel, runs this charming Viennese restaurant. 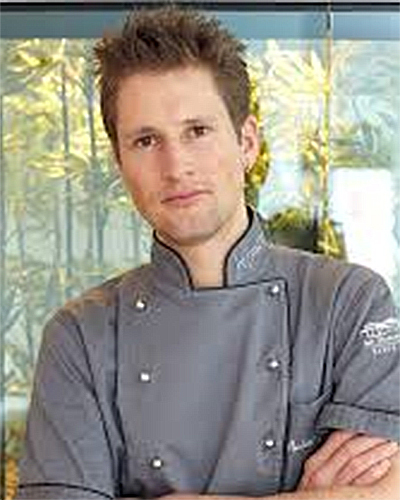 Markus Mraz’s cooking trends toward a more international style of cuisine, and the four-, six- and nine-course menus are filled with whimsically named dishes like Surf ’n’ Turf, which is a pairing of rabbit, mackerel and radish, Headster, which combines lobster, calf’s head, asparagus and miso and Springtime, a combo of lamb, wild broccoli, and rhubarb. A disciple of Marc Veyrat, Yoann Conte serves what one reviewer described as “the perfect example of contemporary Alps cuisine.” Besides the cuisine, one thing that has remained the same is the dining room’s spectacular view of Lake Annecy. 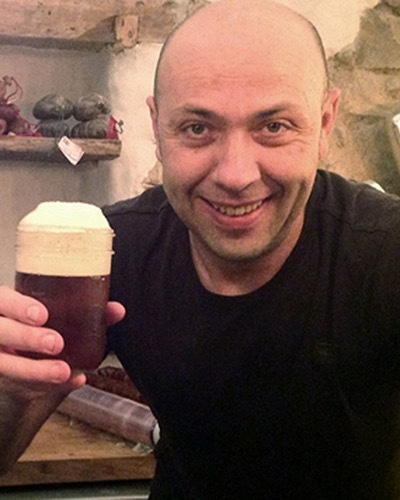 The industrial city of Nottingham is the last place you would imagine to find a chef who describes his cuisine as salt-sweet-sour-bitter-umami. 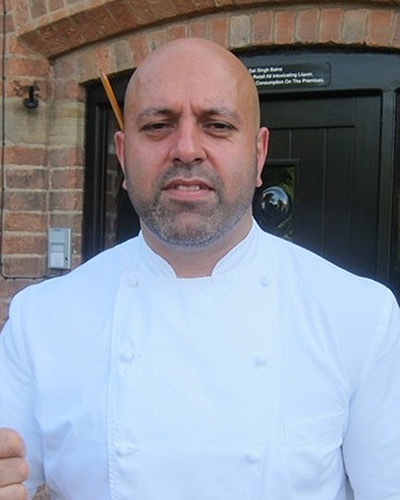 But Sat Bains is not just any chef, and he is ready to tantalize your palate with dishes like pork jowl, piccalilli and salted apple and onion cooked over an open fire and served with aged garlic. Facil is set in a beautiful hotel courtyard in one of the newest areas of of Berlin. 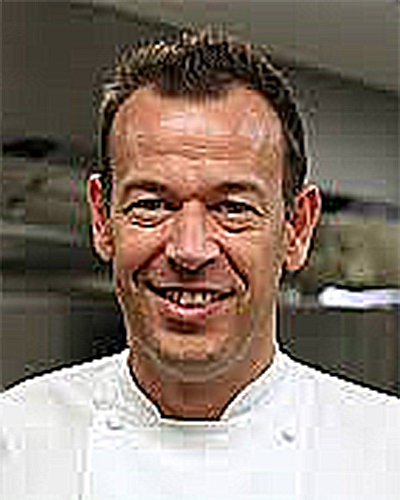 Michael Kempf holds court over the kitchen, and his modern German cuisine, which focuses on seasonality and precise cooking, makes a good fit for the setting. Ingredients sourced from all over the world enhance dishes like Icelandic cod served with cauliflower, Douglas spruce and black truffles, a British and French combo of Dover sole with Gillardeau oyster and broccoli and a neck of beef sourced from Dan Morgan’s ranch in Nebraska and served with black cabbage and marjoram. More than one reviewer cautioned diners not to miss the w ooly pig when it’s on the menu. 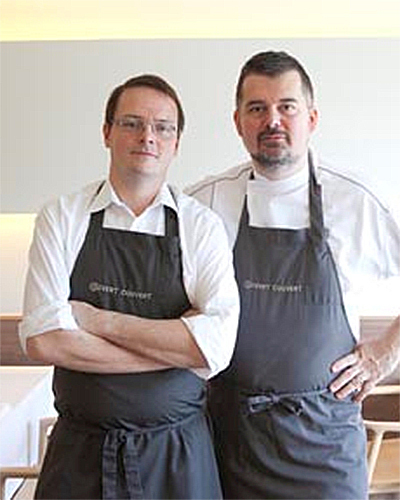 Sort of the sleeper of the Copenhagen dining scene – it is overshadowed by restaurants like Geranium, Relae, Noma and others in the city – and despite losing the chef who put the restaurant on the map (Ronny Emborg), AOC manages to quietly soldier on, attracting positive responses from our reviewers along the way. 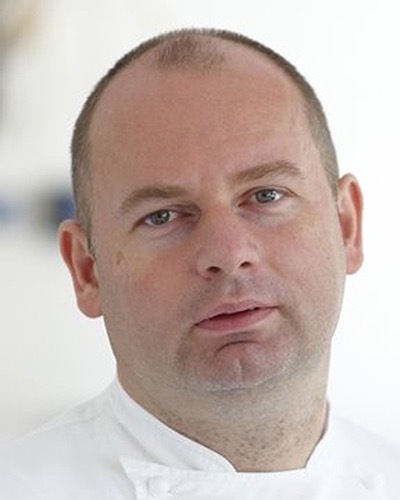 Emborg’s shoes were filled by Søren Selin, who after a slow start, has managed to raise the profile of the restaurant to where it was before the change in chefs. The cuisine is a bit more international in style than one typically finds in Copenhagen, but there is enough of a Nordic flair in a menu that features dishes such as lumpfish roe with turnip, cabbage and apple and Danish lamb with a grilled salad and ramson. This darling of the British press located on a Mayfair street filled with galleries and smart boutiques caused a minor sensation when it opened its doors in 2013. 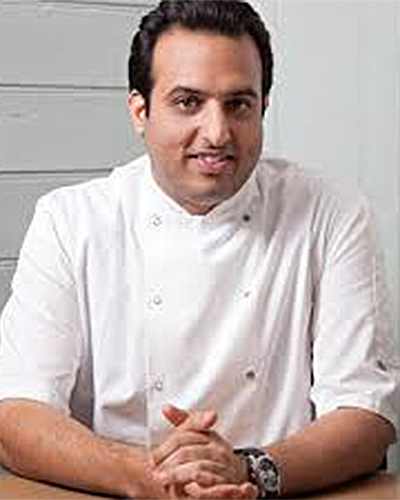 The cuisine is an updated version of colonial Indian cooking, featuring dishes like Malabar paratha with duck egg bhurji and lobster, black pepper fish tikka with lasooni and tomato chutney and a Sofiyan roe deer chop served with keema naan and kasundi mooli. Parties of six can opt for the special biryani and raan feast, which features a main event of goat raan served with masala tandoori potato, cucumber and cumin raita. A decent wine selection – especially French and German Rieslings – enhance the experience. 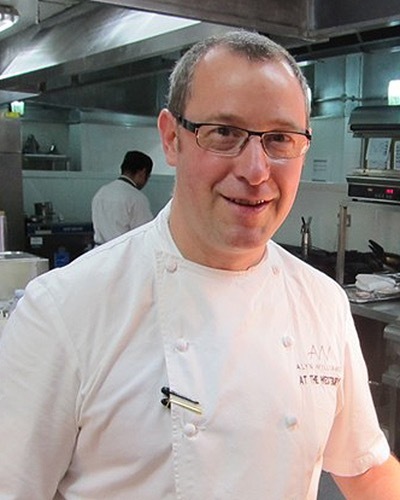 A disciple of Gordon Ramsay, Alyn Williams has continued the tradition that Ramsay started by serving "classical French cuisine with a few English twists." Praise was showered on "Giancarlo Princigalli and his excellent service team" as well as a "reasonable price point for food of this quality." This “fabulous gourmet destination” located in the middle of the dunes near Haarlem and the tulip gardens is a favorite amongst Dutch locals but is little known to people who visit the Netherlands. 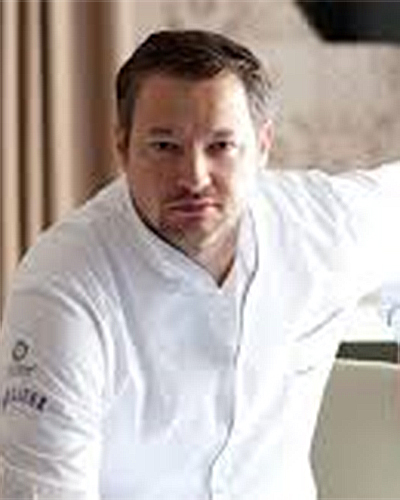 Chef Menno Post specializes in delicate seafood dishes – like smoked eel marinated in tangerine with a potato/apple salad, fresh herbs and walnuts, and veal kidneys with anise mushrooms, pearl onions, crispy bacon and mustard sauce – along with “exceptional desserts.” Sommelier Peter Bruins has been at the top of his game for 20 years now, so the wine selection, service and attention are immaculate. One reviewer best described Espai Kru by saying, “It takes the amazing seafood that their sister restaurant, Rías de Galicia, sources and serves it in an inventive and elaborate manner incorporating both Japanese and Peruvian Nikki techniques.” More than 90% of the dishes are uncooked, and sashimi serves as the basis for most offerings, such as uni avocado tartare, clams with mint, celery and lime sorbet and Galician sirloin carpaccio with a red wine reduction. The wines are both tasty and affordable; one of the benefits of being associated with Rías de Galicia is access to its amazing wine list. Ask Blue Hill at Stone Barns' chef, Dan Barber, where he likes to eat in Spain, and he will point to this unassuming restaurant a 90-minute drive from Barcelona. 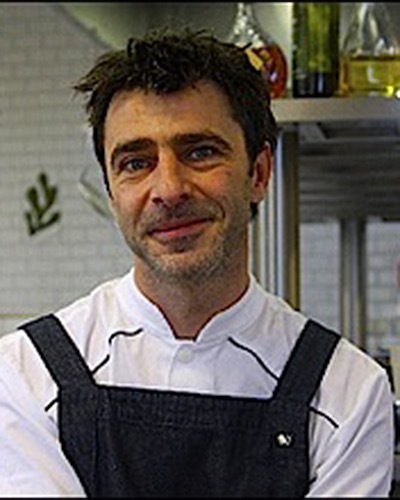 Oriol Rovira's rustic cooking features dishes like a homemade sobrassada with honeycomb; peas, rice, truffle and cod gut; and, in season, woodcock and local truffles. 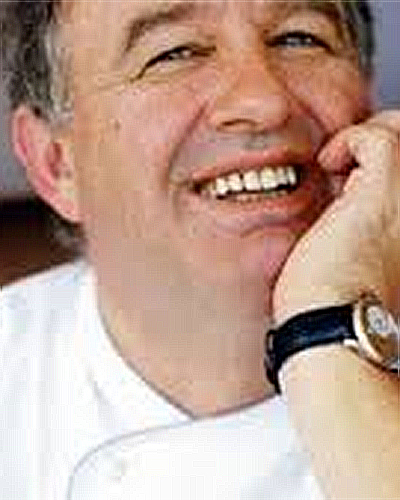 In 2009, Ramón Freixa underwent a major life change by moving his family's restaurant to Madrid. Despite the change of location, Freixa is still serving the type of regional Spanish cooking - like a cannelloni with three roasted meats with mushrooms and asparagus and roasted woodcock (in season) - that he was known for in Barcelona. In an era when restaurants specializing in Molecular Gastronomy have become a rarity, it takes guts for a chef to open a restaurant that focuses on that style of cuisine. But deciding to open one in the capital of foraging, the cuisine that dethroned Molecular Gastronomy from its place at the top of the culinary totem pole, shows the type of bravery that is reminiscent of parachuting out of a plane. 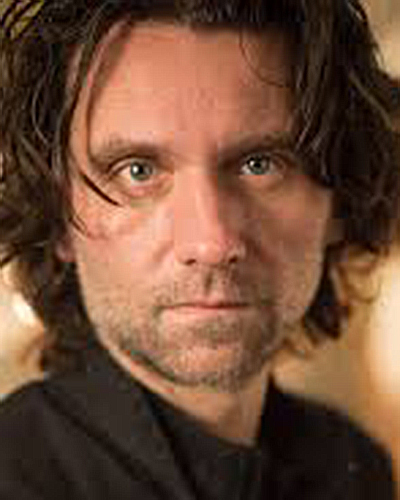 Rasmus Munk is the name of the brave young man behind this restaurant, and if you can secure a seat at the 13-person counter where he serves dinner four nights a week, he will bombard you with a menu of culinary and liquid delights that totals over 40 courses. 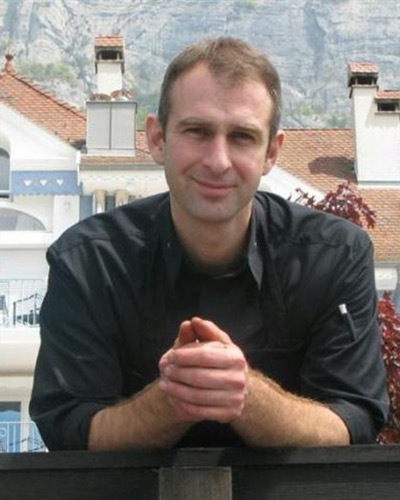 Christophe Dufau, one of the top young chefs in France, and his wife, Esty, run this pretty restaurant located just down the street from the Chagal Chapel in Vence. 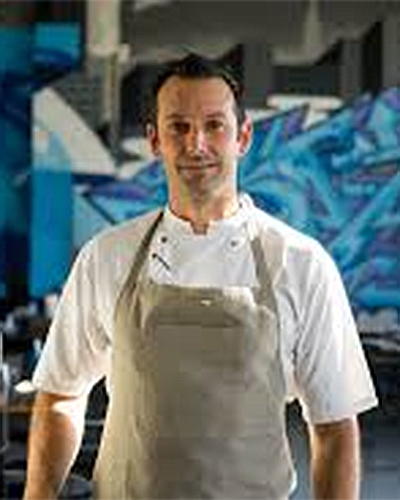 Each night they offer a menu of innovative cuisine that they pair with natural wines. 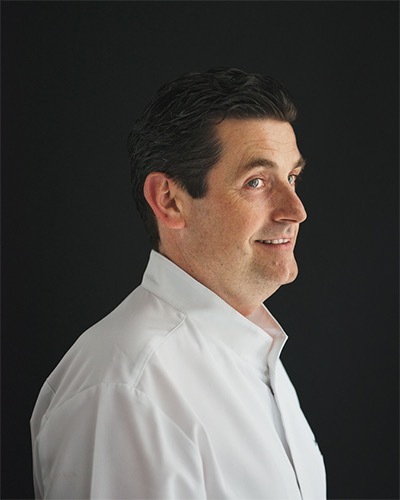 Once a diehard member of the molecular movement, Hans van Wolde has moved his restaurant toward a more natural approach in recent years. 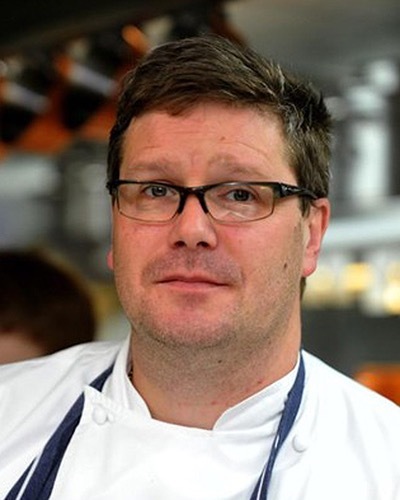 His menu features dishes like cod, oyster, grapefruit and cucumber; crisp of caramel, crab and caviar, which has been a staple since 2007; and filet and cheek of veal from Margraten served with creamy leeks. One would be hard-pressed to ask for a restaurant that’s in a more spectacular setting than the top floor of one of the Antwerp’s most modern buildings, the Museum aan de Stroom. Viki Geunes’s cuisine is a good fit for the modern aesthetic, offering complex plates that focus on unusual combinations of ingredients, like langoustine paired with asparagus, lettuce, kumquat and chicken liver and veal with fennel, sea urchin, yuzu and marinated mushrooms. 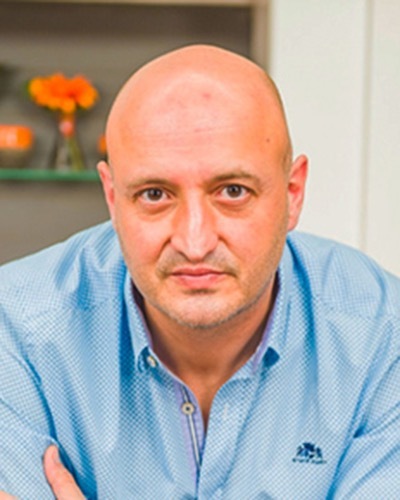 Reviewers were quick to offer praise for both the service and the wine pairings organized by sommelier “Sepi” Sedaghatnia. With its amazing history, art and architecture, Prague is a city that is exceptional in many ways. Unfortunately, one category in which it has never excelled is the culinary arts, and while days there are usually packed full with action for visitors to the city, they typically have a tough time figuring out where to eat lunch and dinner. The kitchen at La Degustation practices a version of New Bohemian cuisine, and the daily menus feature modernized versions of 19th-century Czech recipes like Třeboň pikeperch with cabbage and nut butter and beef tongue served with pear, apple and mustard. Though this restaurant is all the rage with the Spanish food media, it has taken our reviewers a bit of time to warm up to it. One who recommended the restaurant described Josean Alija’s cooking as “minimalist” and talked about dishes such as baked white onion on a bed of codfish and pepper and tuna belly with an infusion of toasted oats and lime, while another spoke of Alija as the “best chef of his generation” in terms of how he handles vegetables. Even the desserts, such as a cream of avocado with grapefruit and coconut ice cream, got a shout-out. 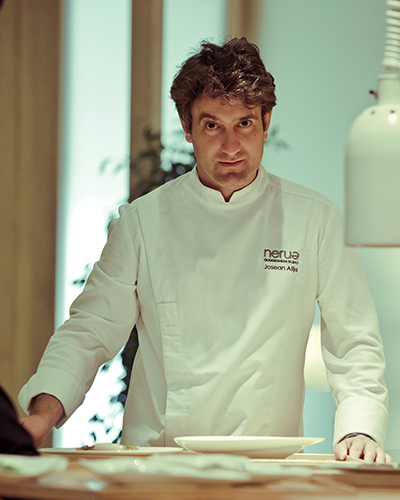 Nerua offers great service, an excellent wine list and a location in the Guggenheim Museum in Bilbao that can’t be beat. This restaurant from Daniel Achilles and Sabine Demel is set in the courtyard of a Berlin luxury boutique hotel in a residential neighborhood not far from the city center, and reviewers tell us it is on an upward trajectory. Achilles’s Modern German cuisine focuses on local ingredients, like new potatoes served with strudel dough, buttermilk bouillon and purslane and a confit of neck of goose served with sour cherries, sweet chestnuts and brussels sprouts. There were some comments about the excellent service, and everyone agrees on the excellent value. The young Portuguese chef José Avillez would probably be better known among the dining community if he were based in a city like Madrid instead of the little-traveled-to destination of Lisbon. But one of the goals of this list is to change that dynamic – we hope to inspire our readers to schedule a trip to every destination that offers a good meal. Avillez’s tasting menu runs for around 20 courses, featuring updated takes on traditional Portuguese concepts, like a dish he calls Wave Breaking, which combines a coastal prawn with bivalves, seaweed and seaweed “sand,” and oxtail with chickpeas, foie gras, veal tendons, onion cream and Serra da Estrela cheese. 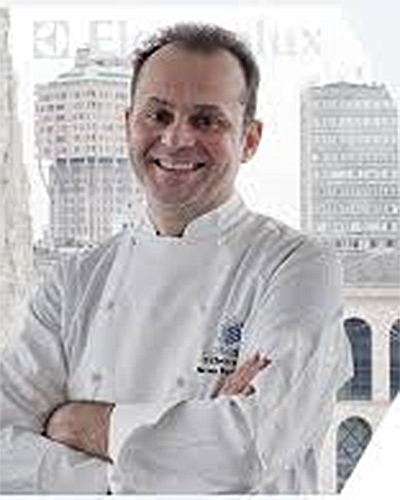 After spending more than 25 years at his more formal restaurant in nearby Isola Rizza, Giancarlo Perbellini decided to establish this more casual offering in the heart of Verona. The open kitchen – a concept so unique for Italy that one of our local reviewers described the restaurant as “unconventional, the chef and his brigade cook directly in the dining room” – offers modern creations like a sesame wafer topped with a branzino tartare and goat cheese with chives and liquorice. as well as sautéed king prawns with green chicory, fried calves’ brains, beans and lemon. This restaurant, which was opened in 2007 by chefs Georgianna Hiliadaki and Nikos Roussos, dispels the notion that there is nowhere good to eat in Athens. The only choice diners have is a tasting menu that is based on Modern European cuisine as well as innovative takes on traditional Greek cuisine. A typical day’s menu will include dishes like sea urchin and “sea sponge,” Greek bottarga tartlet with white chocolate, and catch of the day fricassee. The lovely environment adds to the experience, and reviewers who have made repeat visits tell us that the food keeps getting better and better. 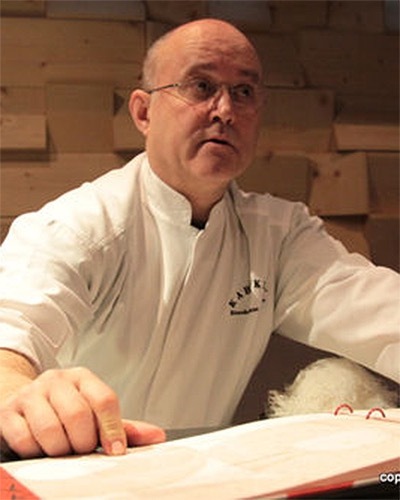 Few chefs who are working in today’s culinary scene can boast of a résumé as profound as that of Jean-Louis Nomicos, whose career began when he was 18 and worked with Alain Ducasse (then chef de cuisine at the Hôtel Juana in Juan-les-Pins), followed by stints at La Grande Cascade and then Lasserre. 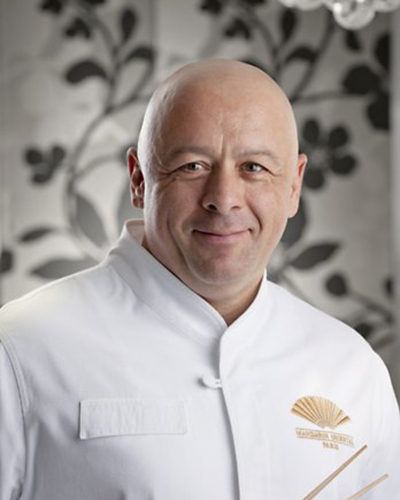 In 2010, Jean-Louis decided it was time to go out on his own, and he took over the space in the 16th that used to house La Table de Joël Robuchon. There Nomicos serves dishes like macaroni with duck liver, celery, veal juice and black truffle and a filet of Salers beef served with pepper, smoked potatoes and sweet pear. Don’t be put off by the total lack of atmosphere at this restaurant located in the basement of a town house in Marylebone that some of our reviewers describe as “the anti-Nobu.” The menu is a good mix of offerings from classic nigiri to more creative a la carte dishes. It’s a mix that has allowed reviewers to report enjoying meals that are an eclectic mix, including salmon miso soup; zucchini flower and asparagus tempura; toro two ways; crab, lobster and salmon tar-tar tacos; wagyu beef steamed buns; and a tempura crab futomaki roll. 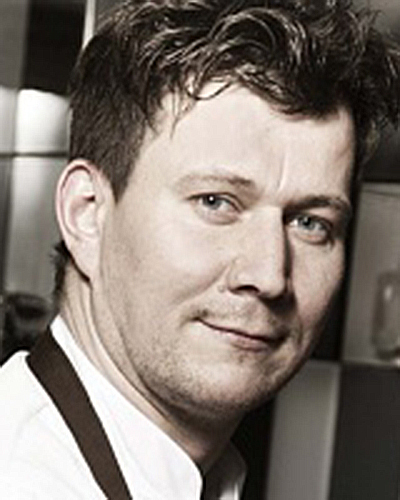 Long before the foraging that is the basis of the New Nordic cuisine became the rage of the culinary world, David Everitt-Matthias combed the woods of his native Gloucestershire in order to create a refined, terroir-driven cuisine that is unique to his region. 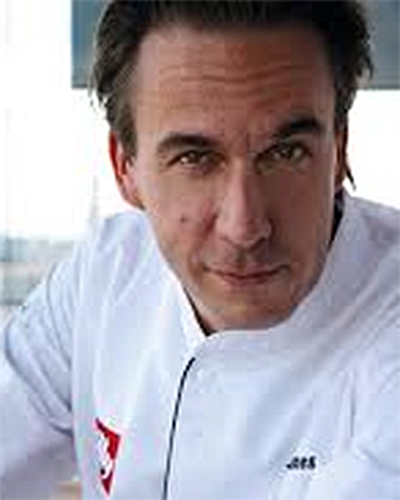 Bart de Pooter seems like an old hand when you compare him to the slew of young chefs who are playing an important role in transforming the Belgian restaurant scene.Not surprisingly, de Pooter's own cuisine matches his place in the community: one foot in contemporary French cooking and one in a more modern Flemish cuisine. The setting - a beautiful mansion a 20-minute drive from Antwerp - is spectacular. When Andrew Wong (hence the A.) 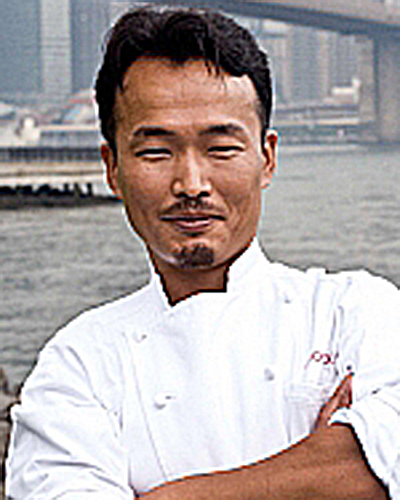 took over his family's restaurant, he devised a menu that paid tribute to each of China's 14 unique culinary regions, allowing diners to enjoy Shanghai soup dumplings and Yunnan seared beef on the same menu. A. Wong is one of the few good places to eat in what is otherwise a dining desert around Victoria Station. 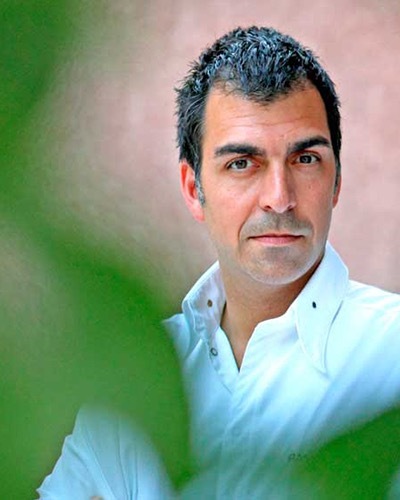 Ricardo Sanz was a true pioneer when he first opened this sushi restaurant in 2000. At the time, serving fish that was locally sourced was risky. 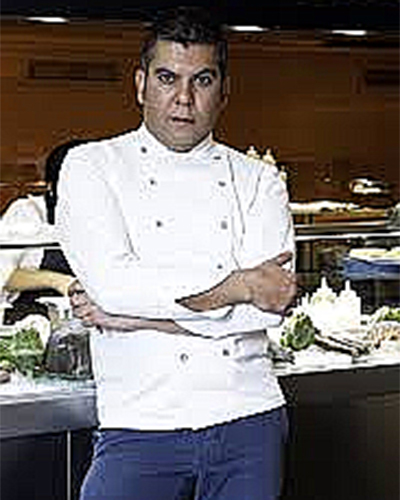 But fifteen years later, you will find tuna from Spain at the very top sushi restaurants in Tokyo, and Ricardo now operates three locations in Madrid. This little-known spot, located a mere 30-minute taxi ride east of Brussels and run by the brothers Folmer, Laurent and Vincent, is starting to become more popular with OAD reviewers. The ambition shown in their fish and seafood dishes – like a consommé of smoked eel with a ravioli of foie gras, beets and pickles and wild seabass with grilled leeks, buckwheat, vin jaune and truffles – seems to garner the most attention with diners. The food plus a lovely bright dining room, terrific bread and a well- organized cheese trolley adds up to a restaurant that more people should know about. After spending time cooking in the U.S., Cristina Bowerman returned to Rome and opened this attractive, two-story dining room on one of Trastevere's most delightful piazzas. Bowerman's "edgy cuisine" is filled dishes like spaghettini with cannellini beans, miso and algae and rack of lamb with berry sauce, stilton cheese and chicory. Set deep in the heart of France’s Ardèche region, this restaurant from Belgian-born TV chef Piet Huysentruyt is among the most remote fine dining experiences on our 2016 list. But despite the rural setting, Huysentruyt’s cuisine is anything but simple, and a meal revolves around theatrical presentations in which most dishes include multiple elements. 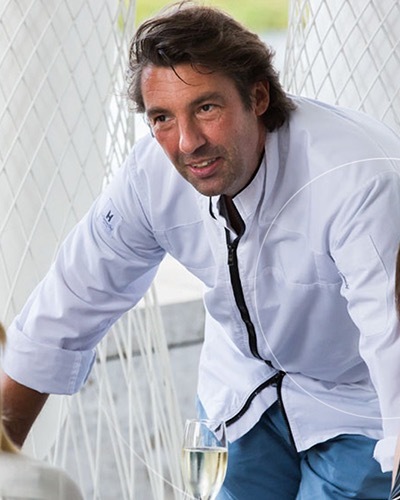 Fortunately, Piet has mastered tastes, colors and the type of unusual ingredient combinations that other chefs would find challenging. Small and intimate, the restaurant is the setting for an evening that is more like having dinner at a friend’s home. This restaurant in the back of the Bonham’s auction house is a bit difficult to locate. 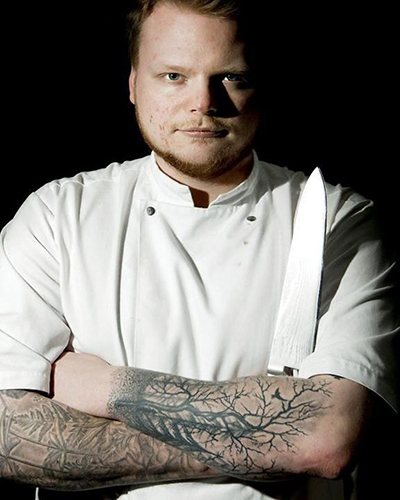 But once you find your way there, the cooking of Tom Kemble will clearly delight the senses. A disciple of Mikael Jonnson at Hedone in London’s Chiswick neighborhood, Kemble sources some of the best ingredients in Britain, like scallops from the Isle of Mull, which he serves with Jerusalem artichoke purée, baby endive, pear, cobnut and lobster coral sauce and a Saddleback pork chop with pearl barley, puffed grains, heritage carrots and Peckham mead jus. A lovely, bright dining room makes this restaurant a sea of calm among the hustle bustle of Old Bond Street. 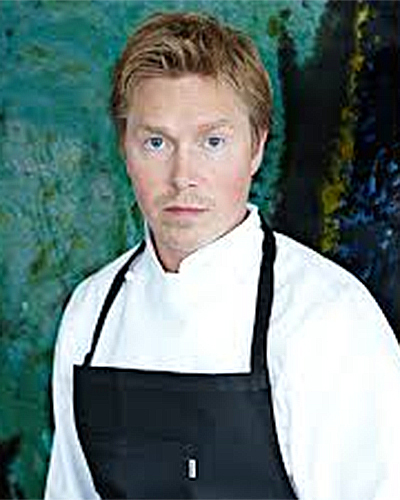 This restaurant, located in an upscale neighborhood just outside the center of Helsinki, is run by the very popular Sasu Laukkonen. Not someone to shy away from a challenge, Sasu decided it was a good idea to open a restaurant in Helsinki, a city that was hardly a dining mecca. 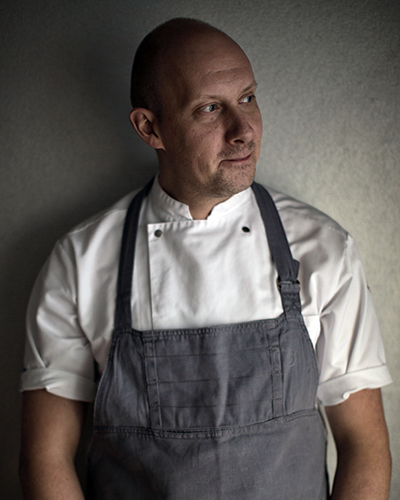 But by employing techniques like curing, aging, fermentation and incorporation of everything from the skin and leaves of the root vegetables and hard fruits that grow in Finland’s climate, Laukkonen created a commendable example of Nordic cuisine. A good example of the restaurant’s creativity is found in a dish of parsnips that have been aged for six months and served with a two-year-old apple cider vinegar or a celeriac prepared like risotto and topped with mushrooms. Though Portugal shares the Iberian Peninsula, its fine dining scene never developed the way Spain’s did. But things seem to be picking up over the past few years, and 2016 marks the debut of three Portuguese restaurants on the OAD list. 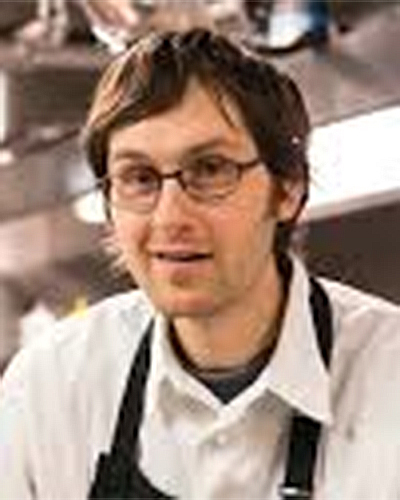 Austrian native Joachim Koerper runs the kitchen at Eleven. 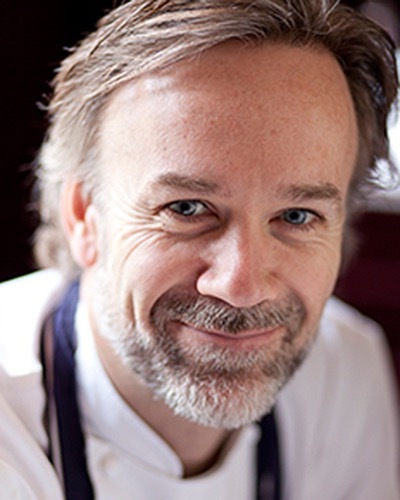 His “careful preparations based around excellent ingredients” include dishes like codfish cream soup with peas and pears; roast lobster with asparagus, egg and a smoked ham emulsion; and a trio of pork with tomatoes, potatoes, lemon confit and black garlic sauce. The setting is lovely, and the restaurant offers spectacular views looking over Lisbon.